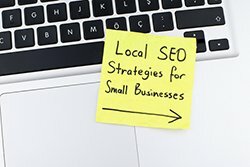 Call Small Business SEO today at 347.391.4736 to get started on your essential SEO strategy. 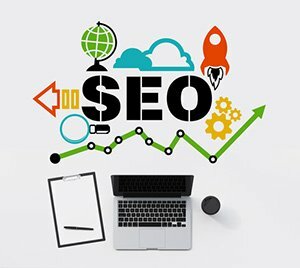 There are many aspects to a viable SEO campaign. Perhaps one of the most important is patience. A successful SEO campaign does not happen overnight. The following is a list of five critical aspects to your successful SEO crusade. Content. Be realistic with your content and your targets. Concise, relative content will help you get to the top of the search engines, and stay there. But remember, it takes time. If you are in the real estate industry in Atlanta, you can expect the more popular key words and keyword phrases to return literally millions of results. The objective is to get you to the top of that list. Your chances of ranking number one when searching the term “homes for sale in Atlanta” is extremely unlikely without years of time and dollar investment. Mid-tail terms. This is where Small Business SEO comes in, identifying and pursuing search engine rankings on the more obscure, but no less utilized keywords and phrases. Oftentimes search terms will use the same or slightly different words, in different order. If you can rank number one in a certain less used term you may realize one more visitor to your site each day. But, if you can rank number one on a similar, more widely used term, you could realize perhaps twenty five to fifty new visitors each day. Make sure your SEO marketer writes good stuff. Small Business SEO’ team of professional writers will ensure your postings and articles are clean, concise and relevant to your industry. They will also make certain your posted content is entirely search engine friendly. Be patient. Typically for many keywords it will take approximately three to six months to achieve a high ranking. Some lower level keywords or phrases may see favorable results in as few as forty five days, while the more saturated search terms could take a year or even more.